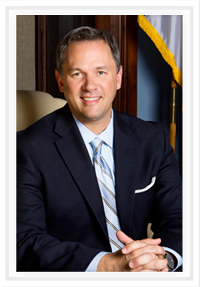 Dan Forest says I-77 is all Roy Cooper’s fault. Jeff Tarte’s November opponent says it’s HIS fault. (Tarte says cancel the contract, worry about paying for it later.) Voters in November 2016 said it was all Pat McCrry’s fault. Cooper’s team says it’s too expensive to try and stop now. And Thom Thilli$$$ — the true mastermind of this whole fiasco — sits quietly below radar watching it all from DC. Thilli$$$ was state House speaker when the toll deal was set up. He did his best to ram the toll legislation through the House, and shut down any debate or discussion with toll opponents. Folks with interest in the toll deal were part of his fundraising strategy for his upcoming race against Kay Hagan. Thilli$$$ and the rest of the Meck mob got McCrory to go along with the deal. Thilli$$$ got six years in DC before the whole mess really got underway. McCrory got sent home by angry Meck voters in November 2016. Forest hints that a Forest administration in Raleigh will shut the deal down after the 2020 vote. Construction has been going on for THREE YEARS now (FIVE by the time a Gov. Forest is sworn in). There will be buyout costs on this deal worth hundreds of millions of dollars. And there will be litigation. Count on it. Other than a few comments he made when a blogger stuck a camera in his face in 2013, I don’t remember hearing any kind of opposition to the deal from Forest. The deal was ramrodded into place by Forest’s fellow Republicans. Construction started at a time when Republicans owned every aspect of state government. It would have been a lot easier to stop back in 2013, 2014 or 2015 than it will be in 2020 or 2021 — five to six years after construction began. If you want to really blame someone for all this, look no further than Thom Tilli$$$. The I-77 toll deal was his baby from the beginning. But actually, it should not be a partisan blame-game. The I-77 fiasco is really the end product of sleazy politicians and deep-pocketed influence peddlers thumbing their noses at the voters while they line their pockets with more of our money. ← #ncpol: Meet John F. Kerry, version 2.0. Thanks for the reminder. 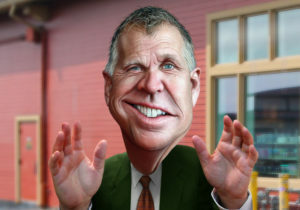 If Tillis plans to run for anything in 2020, this is worth remembering. As for Forest, he’s in a precarious place. I attended one of his round-the-state campaign strategy sessions and I remember very clearly that he said ConnectNC would be about roads and nothing else. And yes, he’s way too late in speaking out against the toll roads shenanigans. Just not sure he’ll get the kind of support from weary conservatives. This was Tillis’s district (or at least tangential to it) so he knew better than most the effect on constituents. Also DOT now recommends converting one of the two planned toll lanes to a free general-purpose lane. I recently moved to the area (Matthews) but had to travel up I-77 Friday night to Statesville, and saw what the folks living in that corridor have had to deal with. Even long after the evening work commute ended, the traffic was a nightmare. No wonder they ran McCrory out of office. Thom Tilli$ is simply not electable. Those swamp Republicans who want him to run again simply have a death wish for the party.